We are all about the outdoors, and given our geographic location we have many great resources at our hands. Be in Sequoia National Forest, Joshua tree National Park, the Pacific Ocean, or Rogers Dry lake bed, we utilize it to its full potential. Check out our broad range of trips offered year round. Don’t see something you like, let us know, we are here to serve you and can make any trip custom to meet your needs. Hours of Operation: Sunrise to Sunset everyday! Our outdoor climbing wall is thirty feet of vertical problem solving! With several holds and routes ranging from a novice level to expert, challenge will be met for all. On the wall there are two person teams with one on belay and the other climbing the wall. Here is a great opportunity to test your patience and persistence. As you continue to challenge yourself on the wall you will gain a respect for all those times people told you to never give up. 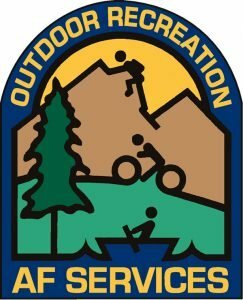 Outdoor Recreation offers ski shuttles on the second Saturday of the month to Big Bear and the fourth Saturday of the month to Mammoth Mountain. Register by the Tuesday prior; ski/snowboard fitting by the Thursday prior. Lift tickets are not included, but are available for purchase at ITT. Winter clothing is available to rent at Outdoor Rec for an additional cost. Ages 18 & under must be accompanied by a parent or adult guardian (min age 6). Don’t forget to check out our rentals and tuning shop at ODR! Outdoor Rec offers a variety of road and mountain bike trips to many local trails including Sequoia National Forest, Malibu, and Bishop! All trips include transportation, instruction and rentals! Want to check out the local and extended areas? Want to see other things rather than just desert landscape? 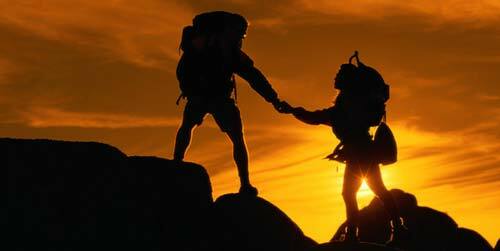 Check us out, we offer beginner, intermediate, and advanced hikes for both the individual and the family! We offer a variety of day and overnight hiking and backpacking trips to many local trails including Sequoia National Forest, the San Bernardino’s, beach hikes, and Yosemite! All trips include transportation, instruction, food and rental equipment. Trips can be catered to your needs and are geared toward the beginner unless otherwise designated. Landsailing is an experience you will not forget. Our Landsails can sail up to three times the speed of the wind. Normal speeds range from 35 -50 mph depending on the wind speed. Don’t miss the opportunity to take advantage of this unique activity. We will provide instruction and the basic safety equipment you need. You need to bring drinking water, sun screen, eye protection i.e. sunglasses or goggles and a lunch or snacks. Sign up early at Outdoor Rec., group size is limited and these trips fill up fast. ODR offers a great safe way to learn proper kayaking strokes, techniques, and skills at the Oasis Aquatic Center. Come play around in one of our brand new kayaks as we instruct you to eventually learning the Eskimo roll. Did you know there are over 10 great climbing locations with in a 2 hour drive of Edwards, and that some of them are considered to be the best in the United States? Rock Climbing is a great way to get out and enjoy mother nature! Rock Climbing is one of the big hits here at Edwards so we constantly have trips going out. With great top roping, sport climbing, and traditional climbing close by, how can you not take advantage. Southern California is considered by many to be THE destination for surfing. With some of the best beaches such as Laguna Beach, Malibu, Pacific Beach, etc. right in our back door why not take advantage. Come learn something new, or just have fun while hangin’ beach side. A great get away from the hot desert heat and a great way to spend the day with the whole family! Afraid to try surfing, that’s fine, check out our boogie boards, another great way to have fun in the sun in beautiful Southern California! We are here to serve you! Let us know what you want to see on our Program Schedule and we will do our best to comply! You are now leaving our website. We are not responsible for any external Web sites or their content. The appearance of hyperlinks does not constitute endorsement by the 412 FSS, the United States Air Force, or the Department of Defense of the external web site, or the information, products, or services contained therein. For other than authorized activities such as military exchanges and Services/Morale, Welfare and Recreation (MWR) sites, the United States Air Force does not exercise any editorial control over the information you may find at these locations. Such links are provided consistent with the stated purpose of the web site.